Virginia could feel her cheeks flush as she walked Piquant through Los Angeles International Airport. He was wearing his bright blue “Emotional Support Service Dog” vest and in Virginia’s opinion, he was not carrying it off at all. His little Chihuahua-shake just added to his lack of panache. She felt ridiculous and looked around, worried that her fellow travelers would be scowling or scoffing, but this was Los Angeles, a city that prided itself on not gawking at celebrities and taking all oddities in its collective stride. Piquant sailed through the airport without a sideways glance in his blazingly blue direction. She insisted that Suzanna, her younger daughter, meet her at the curb. Virginia was determined to establish the tone of independence. She planned on making a big show of effortlessly (a) escorting Piquant, (b) balancing his carrier and (c) getting her own luggage off the carousel, all with the casual effortless for which this city was known. The fact that she was currently only accomplishing (a) and (b) was leaving her a little anxious, since she had two very large – and overweight – bags with which to contend at baggage claim. Looking up at the monitor to see which carousel would be depositing her luggage, she failed to notice two little hands tugging at Piquant’s ears. “Doggy!” said the little girl as she happily twisted the Chihuahua’s ears. God, these Los Angeles mothers! What is wrong with parents these days? The insufferably reasonable tone of the new-age mother annoyed Virginia. Just tell the kid to stop! Wait! How does this woman know my dog’s name? As the mother bent down and tried to stop her child from molesting Piquant, she collided with Virginia’s forehead as Virginia bent to rescue her dog. After clunking heads, they looked at each other and Virginia realized she was looking into her daughter’s eyes. This was a fun and quirky romantic comedy read. The plot was enjoyable and even though this is part of a series I felt that this could be a standalone. The characters that the author brought in where funny and fit perfectly together and I felt that I could relate on how the dog got treated because I am an animal lover. You can see relationship that mother and one of daughter builds along the story and it is much needed when they are moved closer, even though the other one it has problems. What family doesn’t!!! In the end though this was a fun read and enjoyable. I recommend it if you want an afternoon read. 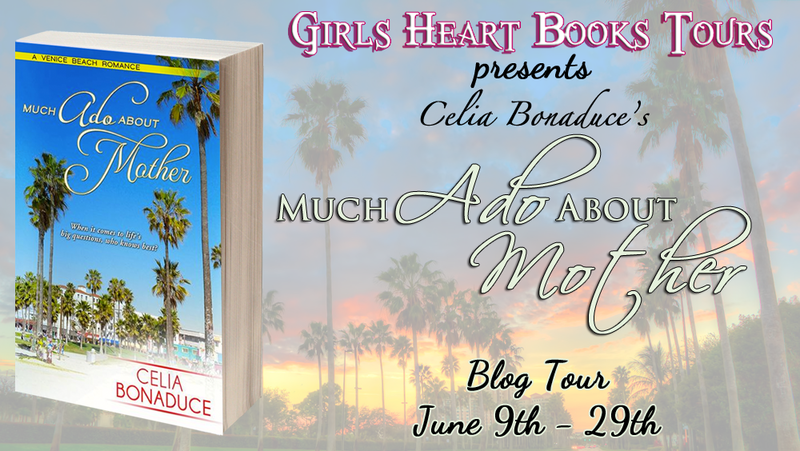 Celia Bonaduce is an award-winning producer whose credits cover a lot of ground – everything from field-producing ABC’s Extreme Makeover: Home Edition to writing for many of Nickelodeon’s animated series, including Hey, Arnold andChalkzone. If Celia Bonaduce’s last name is any indication, she is proof that TV talent runs in the family. An avid reader, entering the world of books has always been a lifelong ambition. 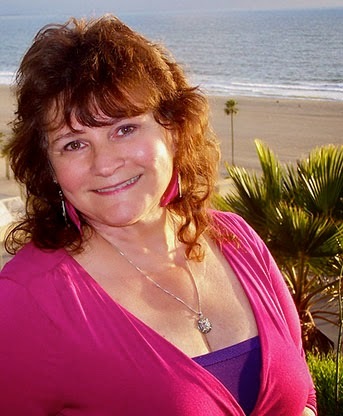 The Merchant of Venice Beach is book one of her three-book deal with eKensington, a digital imprint of Kensington Publishing Corp. 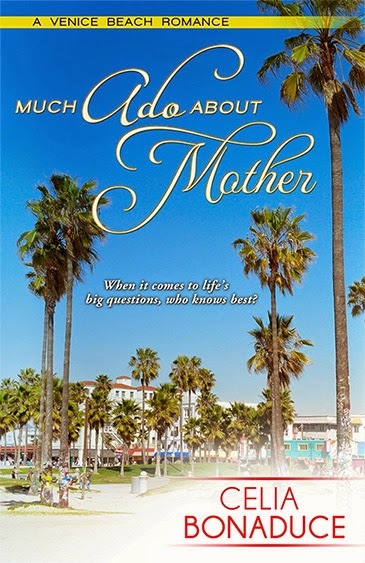 The follow up novel, A Comedy of Erinn, has also been released, and book three, Much Ado About Mother, will be coming out on May 29th, 2014.